WHEN HISTORY IS MADE | Thoughts of a Calabarboy. 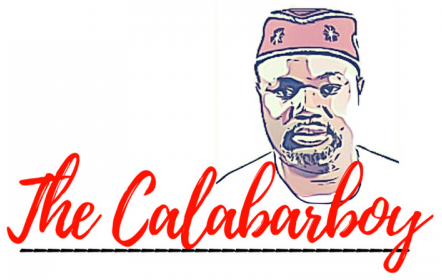 WHEN HISTORY IS MADE – Thoughts of a Calabarboy. “History has been made as America witnesses its first black president…” This was a statement made by a CNN reporter and it dawned on me that it was real. That statement are the kinds of words you hear spoken in a movie that tries to capture a political scenery, but this time it’s no movie. This is not just a freak in history, but a calculated attempt by an unseen hand to effect his agenda in the lives of men. As I sit here brooding over the last one year and my conversations and my disbelief, I stand to say I was wrong throughout the time and I am not ashamed to admit it that I was. I now believe more strongly that absolutely nothing is impossible under the sun. My entry into the floodwaters of American politics started sometime in 2006, when myself and my friend Bayo Akomolafe were reading the news in the university library. He showed me a Time magazine story on Obama and he said to me “Reginald, do you know that he may become the next president of America?” My reply of course was that which every other person even Obama’s wife could have given. “Bayo, America ain’t ready for that yet!” I had to wake Bayo from his sleep in Nigeria and swallow my words to his delight. He was a silent prophet then with a lone voice in the wilderness who was even despised by his closest friend. Oh foolish me!! I forgot that ‘impossible’ was a word invented by men and will be redefined by the same men. Today I look back to that day and see the events that time has spurned and I wonder if there was not a pre-design already in place before all the hullabaloo. Well… that may be the case, but I today I have learnt that small is powerful, and weak is wonderful. The smaller you are, the greater your inner power and this is what Obama utilized. Let me show you a few things I have learnt from this wonder-filled process. First, God does not make great things from big things. He creates big things from small things. This is why I despised Bayo’s convictions that day because it was small in my eyes. I wanted a major event or a break in the sky for an announcement that the American status-quo had changed before I would consider the possibility of Obama becoming the president. But forgot that nothing that is solid in history ever starts big. In his words yesterday, he said he was the most unlikely person to succeed, and started his campaign not in the corridors of power, but in the parlor of a ordinary person. As young man, having nothing but a a dream and a few people whole believed in him, he rose to build the most phenomenal campaign in history. Second, don’t go to the mighty when you are starting out, go to the humble. The mighty can only see from the perspective of their greatness, but the humble can see the ground and no where the hurdles are to cross. Obama came to the lowly in society and made his case. They took him in and worked their heart out for him. For those who are not in the US, I can emphatically tell you that I have never seen that kind of political passion before. You could see that these people had nothing but their strength to dissipate, and they did it joyfully, causing an infectious hope across whole populations. Can you imagine that on the eve of the elections, Obama grassroots mobilizers knocked on 1 million doors encouraging people to vote. That is amazing and points to the fact that the humble are powerful and will do what they promised they will do. You remember David in the scriptures? The men that came to him in the desert after he ran away from the persecution of Saul, were outcasts of the society, broken men without hope. But later, it was on record that they became the ‘Mighty Men of David’. So make the humble your friends in the journey of life. Third, refuse to give up your message. You are what you believe, and your message is what reveals to others what you believe. Obama stuck to his message of hope and refused to give it up even in the face of Smearing attacks of a Rovian order. Even when your character is called into question, keep the focus, for it could be very easy to un-sheath your sword and go after the throat of your enemies. Even David when given the neck of Saul refused to revenge. I have learnt that when you refuse to move your position and reduce yourself to the class of politically disheveled men, you retain your class and gain a premium in the hearts of those who hear you. Obama made it clear that this is a lesson for history. Fourth, disconnect yourself from success. the danger of success is that it can create failure. Paradox aye? Success places you on a pedestal that slams you with so much self satisfaction that it may blunt your sensitivity and blur your sight. Therefore, remove from you the hold and elements of success and go down the hill and see what can not be seen from the elevations of success. Obama struck that note when he stated in his victory speech (paraphrased) “This election victory is not the change we need, but a chance to get the change we need…” This can only come out of a man who inner confidence comes not from outer positives, but from deep seated convictions. I pick this wisdom and hold it close to my heart. There are four things I have stated above, but far much more I have learnt not just from the candidate, but also from his opponent. In the making of history, you don’t just learn from good stuff, but also from bad stuff. Because these two coalesce to form a celebrated outcome. McCain has shown me what not to do. Palin has taught me the issues women have to overcome in our world as they play the role the world awaits them to. McCain’s campaign also taught me that there is nothing like a single eyed purpose not compressed by the tyranny of the urgent. David Plouffe, the Obama campaign manager has shown me that you don’t have to appear on TV to be seen as hard working. Hillary Clinton advise me never to walk the paths of desperation, for you will see yourself become warped by the devils of desire. Friends, when history is made, you can either be a victim of the present or you become an advocate for the implications for the future. I hold this history close to my heart, for I have a chance to use its wisdom and the dimensions of its accompanying mystery to remake history in my own little corner of the world. What more is there to see but to warn all of us that there is a lone voice still calling right now in the wilderness, pointing to a little things or persons that will still remake history. When history is made, it makes us realize that history will always be made. → WHAT ARE YOU DOING BARACK?